No-one likes having their picture taken. For most of us, having a passport photo done is an unpleasant ordeal with an inevitably disappointing ending that we will have to carry around with us in our pockets for years. But it doesn’t have to be that way. 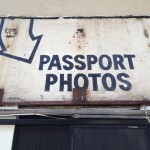 Here are five essential tips to achieve passport photo contentment. You may be proud of that bushy beard, but will you still have it in 10 years’ time? Too much unruly face fuzz can leave you looking like someone who spent the night sleeping in a hedge. Trim and tidy is the way to go, and getting a haircut isn’t a bad idea either, although don’t get your photo done straight away. Give your new haircut a few days to bed in, or your photo will just look like you were trying too hard. Remember that your passport photo will follow you around for several years, so don’t wear anything too trendy or outlandish. Stick to classic looks that won’t go out of date in six months, and avoid bright or garish colours that could bring out imperfections in your complexion. It’s a good idea to get your photo done when you’re at your brightest, which for many people will be in the morning, rather than after a full day’s work. So make sure you get plenty of sleep the night before, or you’ll end up with a photo that makes you look like a fugitive on the run. Smiling on demand is not natural, nor is sitting upright and staring into a lens. But, as with everything else in life, practice makes perfect. You won’t need to develop Hollywood celebrity levels of camera-technique, but it won’t do any harm to practice your neutral smile and relaxed demeanour in front of a mirror. If you want something done properly, turn to a professional. Nearly 100% of Paspic.com passport photos are approved on first submission, so get in touch and let Paspic provide you with a high-quality passport photo you won’t be ashamed of!